NoMad Restaurant — ALIX is an international membership of dynamic and engaged women professionals. 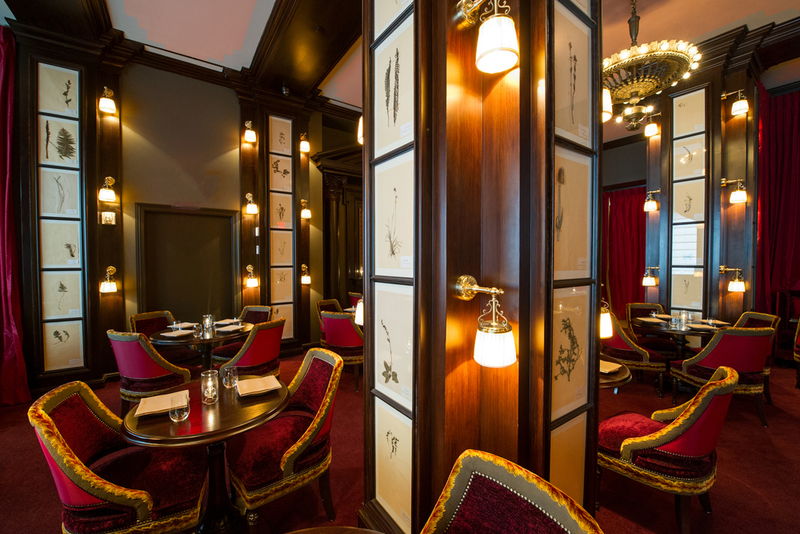 You will find this eclectic restaurant after you enter the lobby of the NoMad Hotel. The restaurant’s collection of rooms offers a variety of dining experiences to suit every mood. One of the most well-designed spaces in New York, the rooms are fanned out as if you have entered a circus tent. For a light lunch or elegant dinner, head to the glass-ceilinged atrium. If you are interested in something more lively, dine in the Parlour room, with its Victorian design, burgundy-colored rugs and velvet chairs, which offers the full menu. The Library, however, is ALIX’s favorite. Here you can sip on bespoke cocktails or French wines while enjoying the NoMad’s light snack menu.